I’m so excited to tell you about illustrator Caroline Hwang‘s latest genius project. 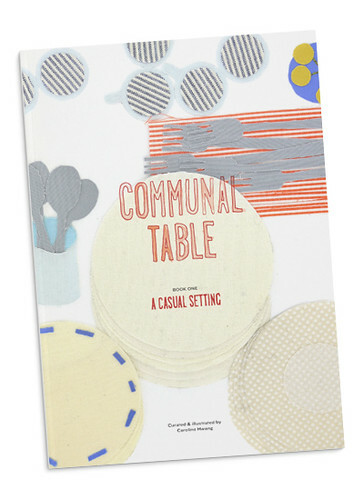 Introducing the first in a series of cookbooks that celebrates the joys of gathering together to share a meal. A delicious spread isn’t the only thing that makes a meal memorable, it’s also the people you eat it with and this series revels in both. 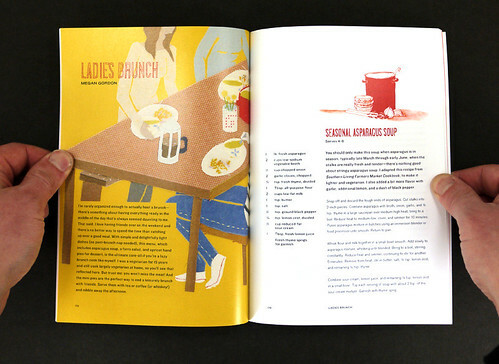 In the introductory book, the casual gathering is explored by accomplished home chefs and some of the best-known folks at the front of the foodie revolution who offer delectable menus for a ladies brunch, a mid-week dinner, a rustic meal, and more. Proceeds from the first book will be donated to The Food Trust, a Philadelphia-based nonprofit that educates families and the public about healthy nutrition. I’ve been lucky enough to sample Caroline’s amazing cooking. She and her roommate have hosted some amazing brunches at their apartment.